Erected 1973 by the Commissioners of the Port Authority of New York and New Jersey. Location. Marker has been reported permanently removed. It was located near 40° 42.702′ N, 74° 0.785′ W. Marker was in New York, New York, in New York County. Marker could be reached from World Trade Center. Touch for map. 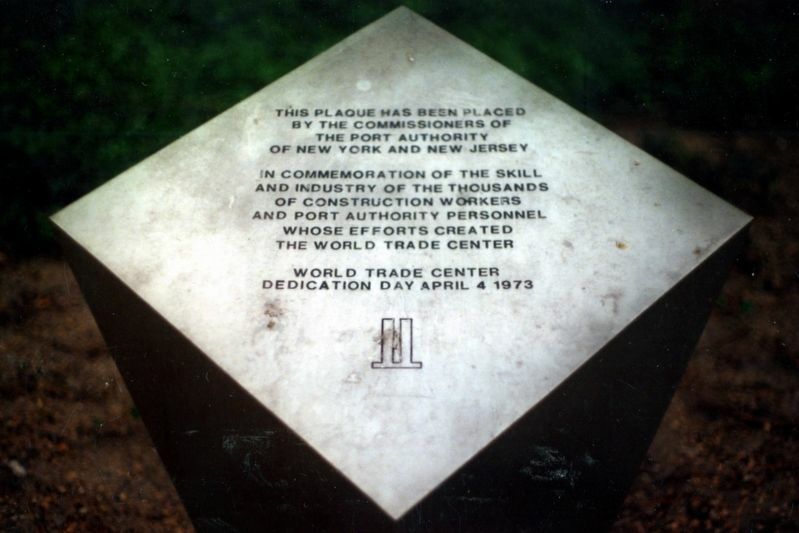 Marker was at or near this postal address: former World Trade Center Plaza, New York NY 10006, United States of America. Touch for directions. 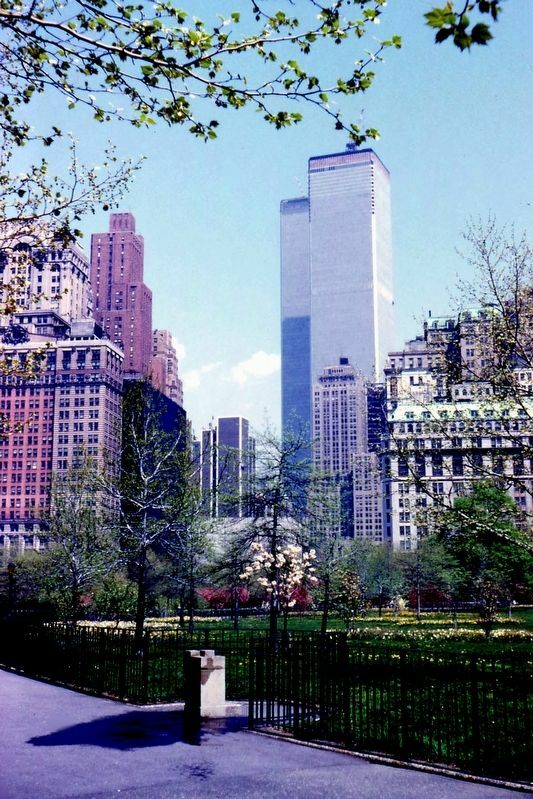 (about 700 feet away); The Anne Frank Tree (about 700 feet away); The West Street Building (about 800 feet away); a different marker also named World Trade Center (was about 800 feet away but has been reported permanently removed. ); George I. Eacker (approx. 0.2 miles away). Touch for a list and map of all markers in New York. More about this marker. The marker was destroyed in the collapse of the towers. This entry was submitted for its historic value. Near center screen - Philippe Petit autographed the area of 2 WTC where his tightrope walk (April 7, 1974) ended. 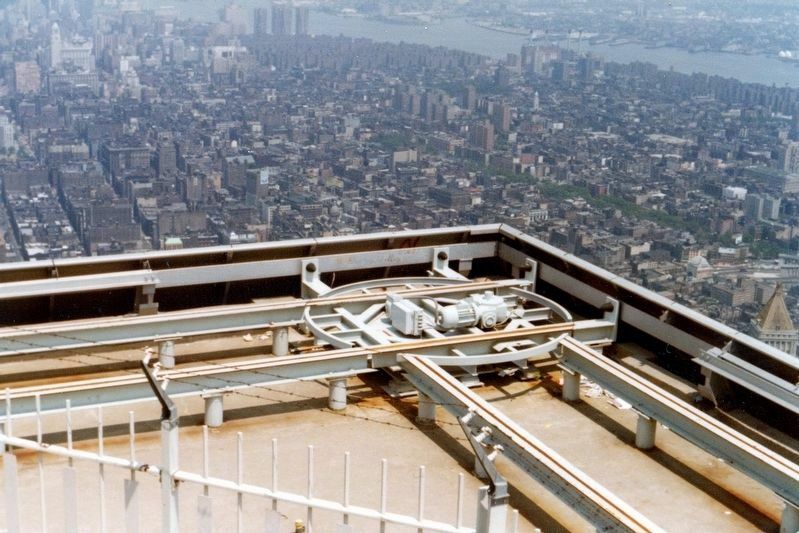 Near center screen - George Willig autographed the area where his climb up 2 WTC (May 27, 1977) ended. 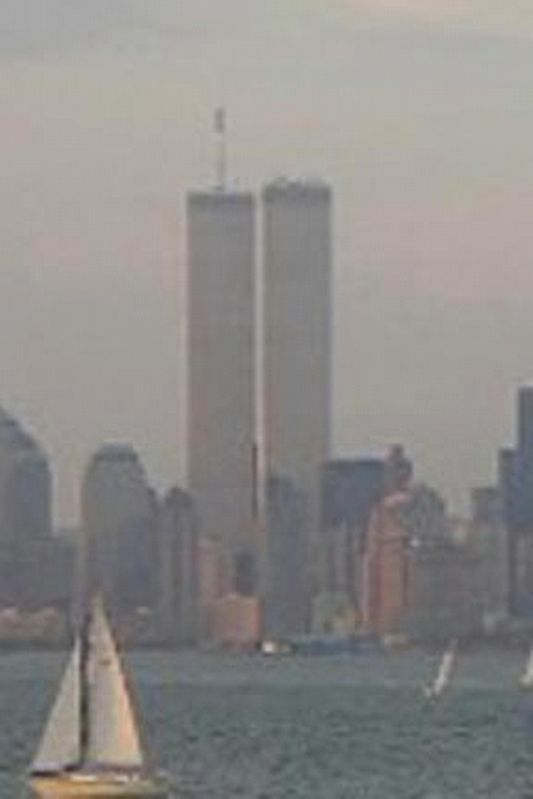 A week before 9/11, my sister was trying out her new digital camera. Credits. This page was last revised on March 25, 2019. 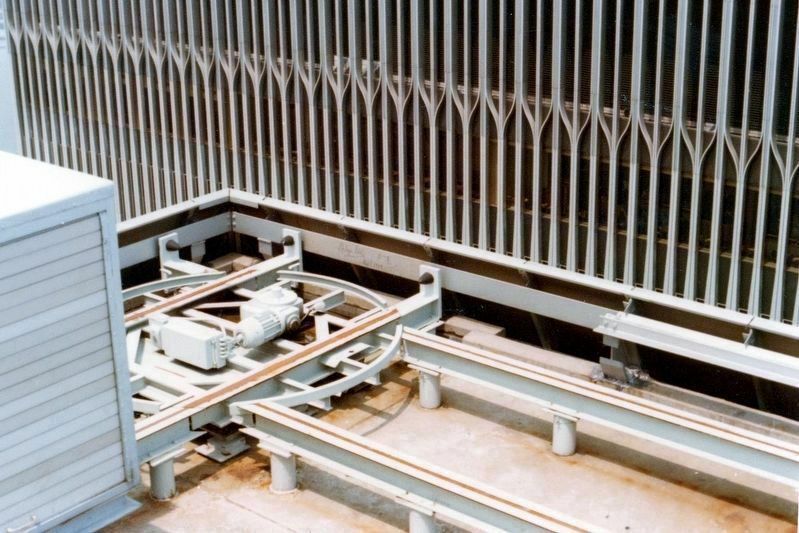 This page originally submitted on March 24, 2019, by Larry Gertner of New York, New York. This page has been viewed 64 times since then. Photos: 1, 2, 3, 4, 5. submitted on March 24, 2019, by Larry Gertner of New York, New York. • Bill Pfingsten was the editor who published this page.